Manama, Mar. 18 (BNA): As part of the second phase of Tamkeen's 2018-2020 strategy, Tamkeen announced that it has resumed receiving applications to benefit from its newly revamped and improved Business Support Programme. "The programme now boasts many added features to better address the varying characteristics and needs of enterprises from one of their developmental stage to the next. 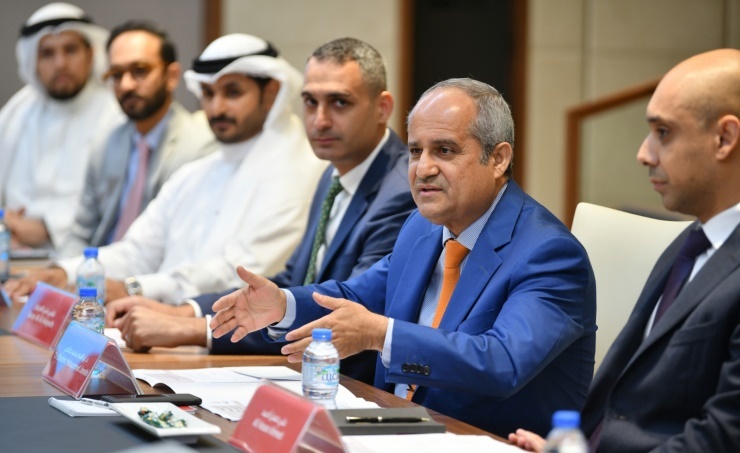 These efforts are aligned with the restructuring our internal team underwent to offer the right kind of support for each individual enterprise,” Dr. Ebrahim Mohammed Janahi, Tamkeen’s CEO, said. Dr. Janahi said that the enhancements represent the initial step in Tamkeen's plan to improve its flagship Enterprise Support Programme’s, which includes the Business Development and Training and Wage Support programmes. “The end goal of the plan is to amplify the impact of Tamkeen’s support on the development of enterprises on one hand; and boost their contribution to the national economy on the other. As part of that, we will be similarly re-launching the Training and Wage Support program over several phases later this month,” Dr. Janahi noted. Among the enhancements made to the Business Development program are several innovative support tracks. These include support grants for enterprises with virtual commercial registrations. Another new support track, the “5K support”, caters to enterprises applying for support grants up to BD 5,000 in the 8 support areas already defined by the program: machinery and equipment, ICT, quality management, consulting, cloud computing, accounting and auditing services and marketing and branding. Tamkeen partnered with the Bahrain Electronic Network For Financial Transactions (BENEFIT) and local banks to activate electronic money transfers using the Fawateer system, thus allowing for faster, more secure payments that will cut the payment period by half. Another cost-effective improvement made possible by modern technologies is virtual field visits, which allow Tamkeen to verify the receipt of the subsidised equipment and machinery through a dedicated audiovisual feed, eliminating the need for physical site inspections, thus enabling it to serve more customers in less time. Earlier this year, Tamkeen had temporarily suspended the Enterprise Support Programme to add more solutions and features and further refine its support offerings as part of its drive to support the growth and development of enterprises in Bahrain.